Earlier this week, the death was announced of Johan Cruyff, an iconic footballer, who was one of the most creative who ever played the game, and for a while the world's most expensive transfer fee. It reminded me of a match that I watched when I was just 11 years old. I have the programme shown here. 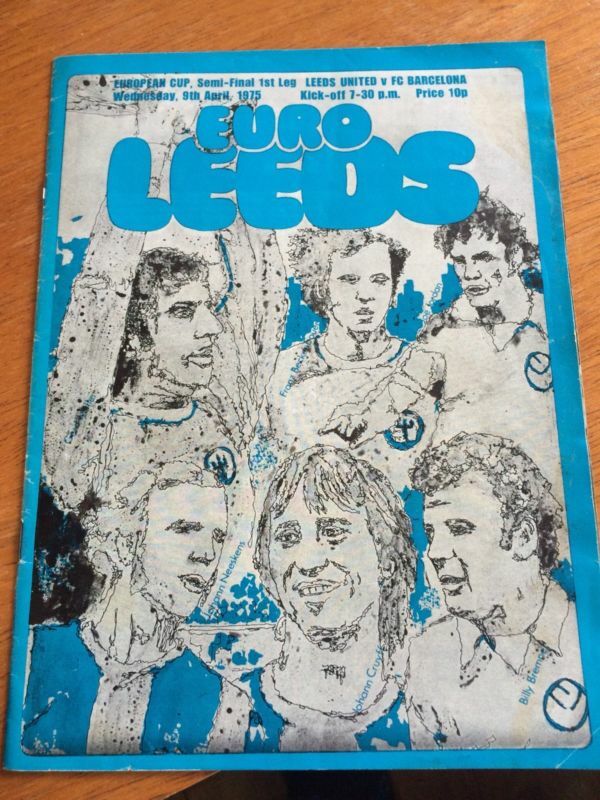 It was the semi-final of the European Cup, and Leeds United were playing Barcelona in the semi-final of the championships. 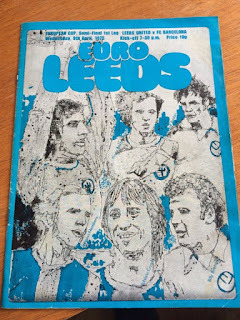 I saw many matches under Don Revie, Brian Clough and Jimmy Armfield around this time, with the classic Leeds line-up, and saw all the classic players from this era, regularly watching all the home games at the time, driving up from Rotherham with my dad and his workmates. The final against Bayern Munich didn't go very well, but I may now spend the rest of the night watching YouTube videos of classic Leeds Utd. matches. What's your best sporting memory of a fixture that you attended?